While I sit and write this, I can honestly tell you I have never quit a TV show because of a plot line. That’s not to say I have never stopped watching a TV show, but stopping and quitting are two different things. Just like you don’t stop smoking cigarettes, you quit smoking cigarettes. Stoping smoking means that once in a while you forget to buy a pack, sometimes you have something better to do then lighting one up and before you know it, you haven’t smoked in a month and you don’t miss it. That’s stopping, but nobody really ever stops smoking, do they? They quit. They force themselves not to buy a pack, they grind their teeth whenever they get the urge to smoke one and even years down the road, when they see that light blue smoke rising thru the air they miss it like a junkie misses smack. I said before that I stopped watching TV shows in the past, but last night, for the first time, I quit “Boardwalk Empire”. The reason? If you watch the show, you already know. Jimmy and his one suit. 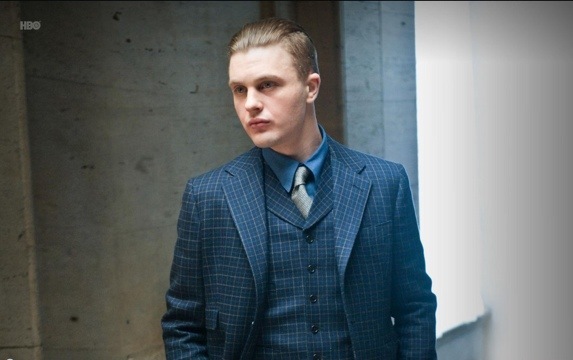 James Darmody was one of my two favorite characters in “Boardwalk Empire”. He was the reason I tuned in every week and loved the show for every single episode and yes, that includes the season two finale and the reason I quit the show. Confused? How can I love an episode and loathe it at the very same time? Allow me to explain this double edged sword viewpoint of mine before we get any farther. There is absolute genius in the evil that took place on last nights episode. The camera loves Michael Pitt. Even watching him just sitting there is entertaining. The way it was written, the way it played out, the dialogue, the performances, the cinematography and the soundtrack was all perfect. It was as good as TV gets, an hour of TV so engrossing I literally didint move for the whole hour. It was all perfect except for the fact that it happened. That was its one flaw, the reason why it’s terrible is because it exists. I apologize if I’m getting to philosophical, but what I’m trying to say is that this perfection should have never happened, at least not yet. It was to early for Jimmy to die as he was the heart of the show to Nucky’s brain. I’m not a TV writer, but if I was the show runner for this, this would be the series finale, showcasing Nucky’s transformation to a full gangster. Do you remember in the first episode of the series Jimmy says to Nucky “You can’t be half a gangster anymore”? That’s what this show should have been about. Nucky’s transformation from a crooked politician to a full on gangster, getting his hands dirty and taking care of business himself. *In the same vein, I’d just like to metion that in my opinion the show moved too fast this season. 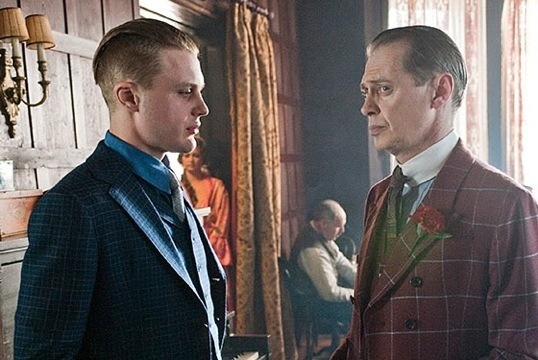 The end of season one left so many possibilities, I would have loved to see Jimmy become a serious competitions to Nucky, and going head to head with him in the liquor trade. That was the setup for season two, but before we even got midway Jimmy’s empire was crumbling. Nucky: I originally tuned in to the premiere of the show for Steve Bushemi. I love him as an actor, but before the second episode aired, I was there for Jimmy. Nucky completely lost me this past season for reasons I still can’t pin point, but it think it’s because he was too far over to the dark side. He’s a greedy, spiteful, cocky puppet master, and there was nothing in there for me to like. He was smart and clever, but it wasn’t enough for me to enjoy as a character. What made it worse for my opinion of Nucky was that there was no character development for him. After all the crap he’s been thru this past season, the betrayal, the indictment and trouble at home, he comes out unscathed and completely the same as he was before. He welcomes Eli with open arms and marries Margaret like their life together is perfect. The final nail in the coffin was him killing Jimmy basically cementing himself as the bad guy by killing off a favorite character, and you can’t be a main character and the bad guy in a show like this. That does not work in a drama, this in not a comedy like “Eastbound & Down” where a evil protagonist works. You’re a racist, mean-spirited, coke head Kenny, but I still love you. It would have worked if before he shot Jimmy, he turned the gun on Manny or Eli and shot them. 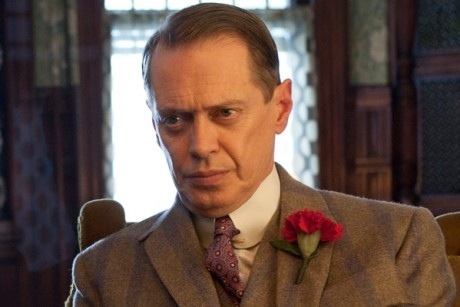 That way, even if he killed Jimmy the viewer would have a sense of justice and a reason to like Nucky. That didn’t happen and at the end of last nights episode the bad guys won and the hero lost. Nucky is no longer an antihero but a full fledged villain and I’m not going to watch a TV show where I root against the main character. 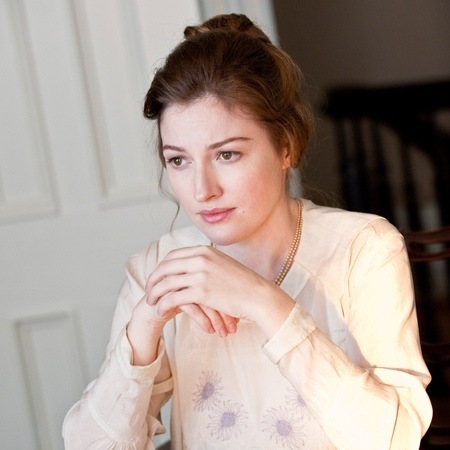 Margaret: Margaret is a character I did not enjoy watching one bit, going as far as skipping thru some of her scenes if there’s not another major character involved. I don’t love to hate her like I do with Cersei or Joffrey on “Game of Thrones” (Yes, I’m referencing “Game of Thrones” again because that is a new quality programming standard I’ll hold all TV shows up to). Margaret is just a character I have no investment in, a character I hope would be killed off in every episode, a character I neither like or dislike, I just don’t care. I belive it was the wrestler Shawn Michaels that once said “I don’t care if people cheer me or boo me as long as when I go out there they do something.”, when it comes to Margaret all I hear is crickets. You have no idea how much I nothing you, Margaret. Those are the two major character that I belive HBO thinks viewers will tune in for next season. Of course, there is also Owen who is getting set up to be Jimmy’s replacement but does not have the acting chops of Michael Pitt and his story is uninteresting since he’s already proven himself disloyal. 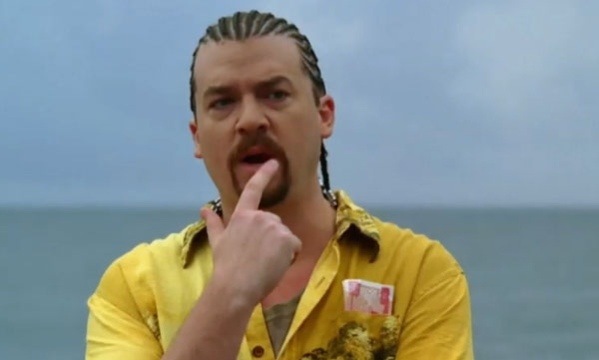 Agent Van Alden has been pretty much written out of the show, moving to Chicago under an assumed name so there goes another character I liked down the drain. 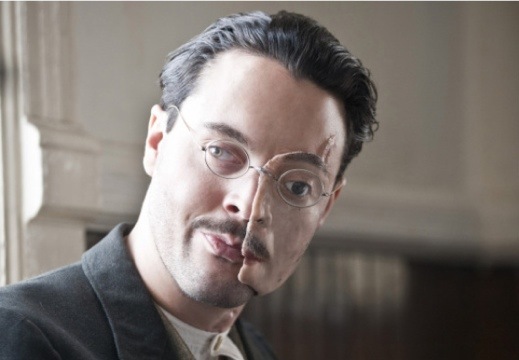 That leaves us with the only other character that made me watch this every week, the man with the iron face aka Richard Harrow. No caption can be cool enough for this guy. Aside from Jimmy, it was Richards story I was most invested in, and week after week Jack Huston knocked his performances out of the park. 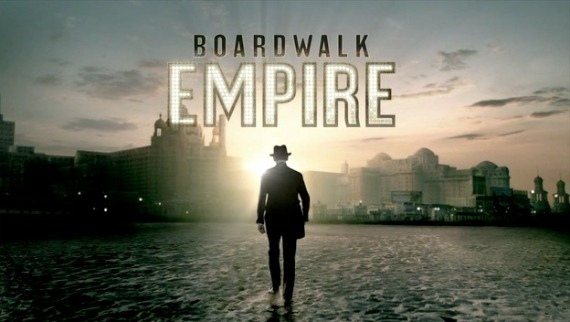 I would love to see Richard become a masterless samurai next season, dealing out vengeance for the murders of Jimmy and Angela but the show runner for “Boardwalk Empire” already said thats not going to happen. Richard lost his connection to Atlantic City with the deaths of the only two people that understood him, just like I lost my connection to “Boardwalk Empire” with the death of Jimmy. It was just way too soon. I’ll be the first to admit, it took balls to make a move like that just like it took balls for David Chase to end “The Sopranos” the way he did. When that finale ended and the screen went black, I was just like the majority of the viewers, I thought my cable box went out, but then the credits started rolling and I was in awe. It was perfect, but that was a series finale, not the end of season two. Killing off Jimmy took balls, but was it a smart move? Not at all. From the fan reaction online, it looks like “Boardwalk Empire” will loose at least 40% of their viewers which means it won’t have a season four. It’s sad because I loved the show, but now I have no reason to watch it. Thankfully it did give me two seasons worth of great TV and I enjoyed every second of it.